He was caught on camera tossing ice on the floor and allegedly faking a fall. A New Jersey man was arrested in mid-January and charged with insurance fraud after he was caught on surveillance video tossing ice on the floor and allegedly faking a slip and fall, authorities said Thursday. Alexander Goldinsky, a 57-year-old independent contractor, was working for a company in Woodbridge, New Jersey, about 30 miles northwest of Newark, when he allegedly orchestrated the scam, according to the Middlesex County Prosecutor's Office. 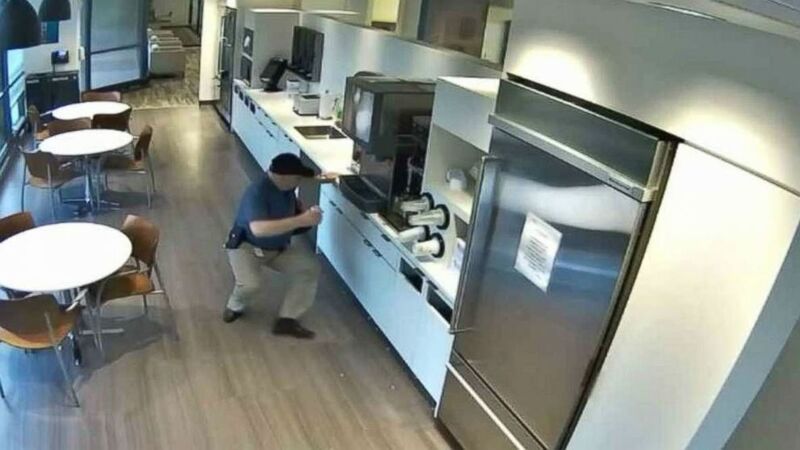 The office released surveillance video Thursday from the company's empty break room, showing Goldinsky throwing the ice and strategically sprawling himself across the floor. 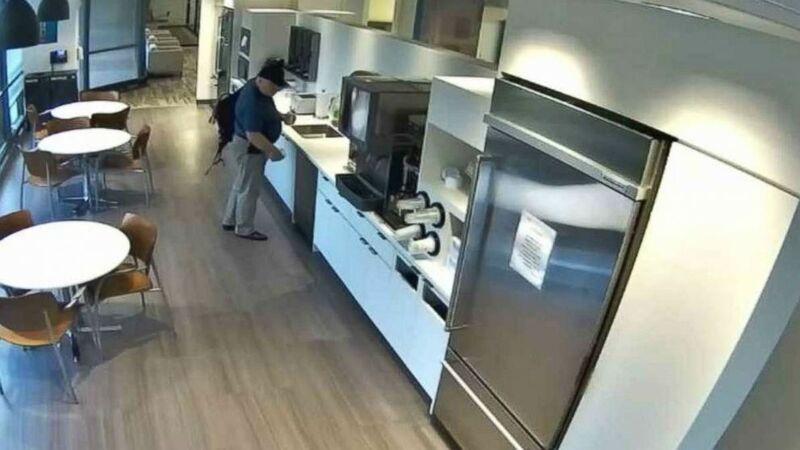 (Middlesex County Prosecutor's Office) Alexander Goldinsky, 57, of Randolph, N.J., was arrested Jan. 15, 2019, and charged with fraud after surveillance video showed him apparently faking a slip-and-fall accident. Goldinsky allegedly filed a false insurance claim between Sept. 1, 2018 and Nov. 1, 2018, for ambulance services and the treatment he received for injuries he said he sustained during the fall, Middlesex County Prosecutor Andrew Carey said in a statement. 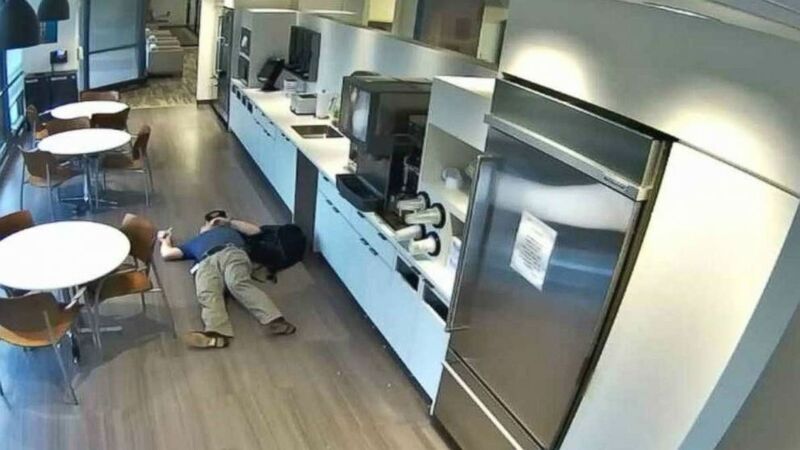 "The investigation revealed that Goldinsky purposely threw the ice on the floor in the cafeteria at his workplace, placed himself on the ground, and waited until he was discovered," the office said in a statement. "Fraudulent claims cost everyone and we will aggressively prosecute those who illegally manipulate the system." Goldinsky was arrested on Jan. 15, and charged with one count of insurance fraud in the third degree and one count of theft by deception in the third degree for fraudulently filing an insurance claim, according to Carey. He was released on a summons and is scheduled for an initial court appearance on Feb. 7. It's unclear if he has obtained an attorney. "The prosecution of insurance fraud is part of the Attorney General’s statewide insurance fraud crackdown through its County Prosecutor Insurance Fraud Reimbursement Program," the statement said. "The investigation is active and continuing."